Honeymoon time? Here at Global Basecamps, we’re always looking for an excuse to try new things in exciting places around the world. For some intrepid travelers, the idea of lounging on a white sandy beach and sipping Mai Tais sounds dreadfully boring. It’s memories you’re looking for, right? We’ve scoured our featured destinations and compiled a list of 5 delightfully adventurous and unique honeymoon ideas to inspire the explorer inside you. Next in the series, we take a trip to the ever wild and dramatic landscapes of a Tanzania Safari, as featured in National Geographic Traveler's Top 50 Tours of a Lifetime 2014 as a part of our Beyond the Big 5: Uganda, Tanzania & The Spice Island trip. Untamed wilderness, extreme landscapes, breathtaking wildlife, and truly unique experiences. This country has all the makings of an enviable honeymoon spot. Climb to the “rooftop of Africa” at the peak of Mt. Kilimanjaro, see the Big Five on a luxury safari, relax in a cabana on the Spice Islands, or explore the fascinating cultural depth of Tanzania, the choice is your's. 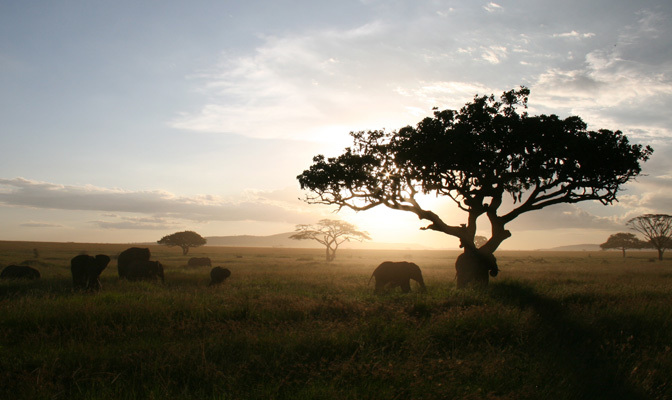 For wildlife enthusiasts, the wide grasslands of the Serengeti and the Ngorongoro crater are brimming with big game. In the expansive Serengeti, daily game drives will bring you up close to iconic big cats and herd animals. In some areas, walking safaris will get you even closer to the action. Don’t worry, they’re safe! For most of the year, viewing the great Wildebeest Migration from the intimate setting of your luxury mobile tented camp is also a strong possibility. The 25 km wide Ngorongoro Crater, which was formed by the collapse of a massive volcano, is home to some 20,000 large animals including lion, cheetah, and zebra. After roaming the vast area you’ll see why it’s often been described as the 8th wonder of the world. The crater is the largest intact caldera on the planet and, fittingly, harbors some of the biggest elephants in Africa. Blending the perfect amount of adventure and comfort, a luxury Tanzania safari will make for an unforgettably romantic expedition. 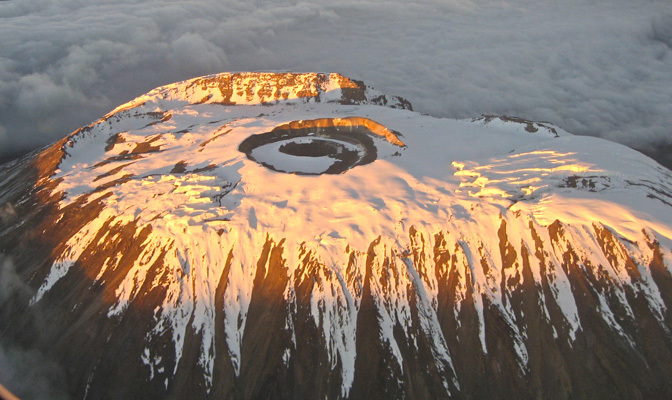 At a staggering 19,341 feet Mt Kilimanjaro is sure to be one of the most impressive sights of your new life together. Not for the faint of heart, climbing the formidable mountain on your honeymoon will make your trip the stuff of legends! The arduous trek to the Uhuru peak is possible regardless of the time of year, taking you through farmland to tropical rain forest then over barren volcanic areas on your way to the ice-capped summit. The views on this trek are absolutely spectacular, culminating with watching the sun rise and set over the Great Rift Valley. Travel simply doesn't get much more romantic than that. The Kilimanjaro Macheme Trek is ideal if you want to take your time enjoying the continually shifting landscapes and is also one of the most affordable routes available. Alright, so white sandy beaches aren't all bad, right? If trekking through rugged terrain for a few days isn't quite the unique honeymoon you had in mind, Tanzania’s coast is where you want to be. Zanzibar, also called the Spice Islands, has served as an important stop for Arab, Persian, and European traders for over 1,000 years. The islands also happen to be surrounded by gleaming turquoise ocean waters where the famous Mnemba Atoll encircles a reef with some of the best diving in east Africa. 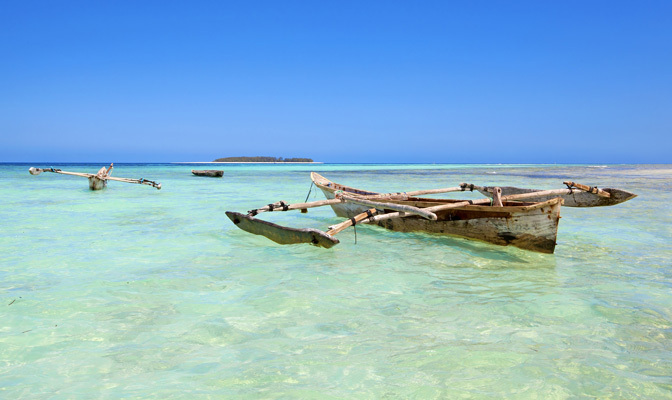 Easily added to any safari itinerary, Zanzibar is home to long stretches of picture-perfect beaches where locals have fished for ages. Matemwe Beach Village, one of our favorite accommodations, feels as close to paradise as you can get. Take a few days to wind down after an exciting trip and really savor each other's company. Kick off your new life together with a bit of indulgence, we know you deserve it. Seeing Tanzania's impressive wildlife while wandering through one-of-a-kind natural areas will make any honeymoon unique. Connecting with the many diverse cultures of the country will make it unforgettable. Some of the activities are definitely for adventurous honeymooners but the experiences will result in stories to treasure. Visiting the Hadzabe people, some of the last hunter-gatherers on the planet, can entail an exciting lesson in hunting small mammals. If hunting's not your thing, trek alongside the Masaai near the village of Esilalei (Toothbrush Tree) in the Masaai Heartlands. 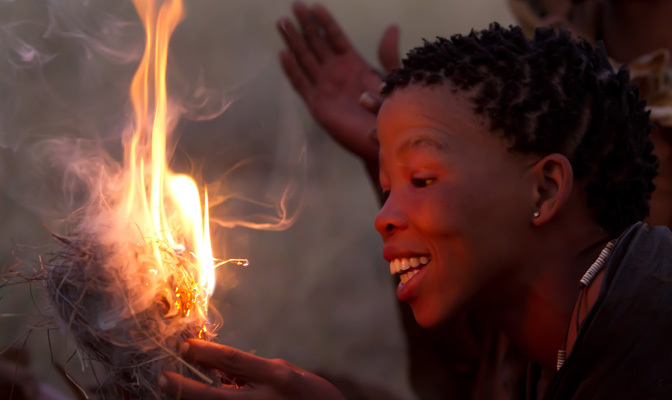 At night you'll both be treated to elders and morani (warriors) singing and dancing around the campfire. The Chagga people reside in the foothills of Mt Kilimanjaro in Marangu. Stay a few nights with these fascinating people to enjoy the surrounding caverns and waterfalls fed by the snows of Kilimanjaro and to exchange stories at the local wilderness lodge. Looking for more ideas? Fill out our custom tours form to get started today. Check back next week for another unique honeymoon destination, Thailand. Do you have any ideas for unique honeymoons? Where did you go on your adventurous honeymoon? Leave us your feedback in the comment section below and share this with your friends!